Workbenches are designed for your use. With assurances that there is plenty of room for workers to perform their tasks. With ample storage they can have all the necessary tools at their benches. Welded benches ensure that they are suitable for any production process. Starting with general use to industrial industries as well as basic carpentry right through to heavy duty engineering. With just as much importance as organisation is space. If you are limited for space at your current location do not worry. Here at Storage Concepts, we have a well experienced and skilled team to design and create a solution that doesn’t just provide a newer stylish solution. We create and give you and your team more space to work in. We are experts in designing and installing bespoke solutions that eradicate your spacial issues, meaning there is no need to investigate the possibilities of relocation simply because you are struggling for room where you are at present. 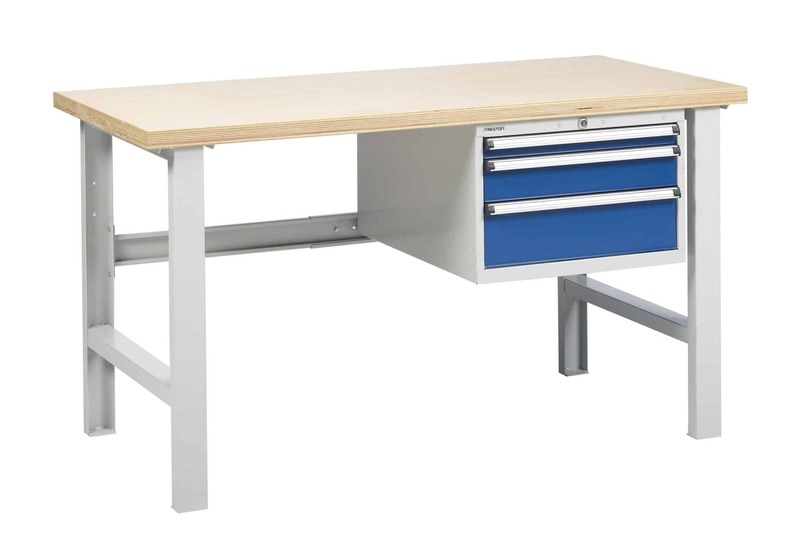 By creating a new range of factory benches that take up less room, while maintaining or improving your production, you could even install more workstations than before, or take on more staff. To find out how any of the bespoke storage solutions from Storage Concepts could help you and your business, give us a call today on 01664 410414, where one of our staff will be happy to discuss your options.